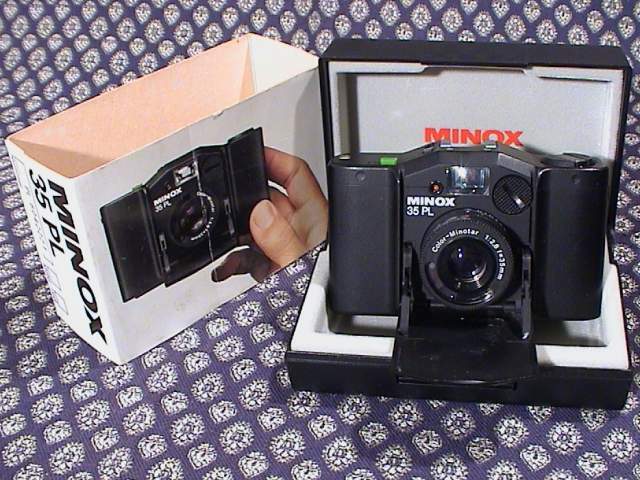 The Minox 35 PL was added to the Minox range in 1982 and has fully automatic programme exposure control. 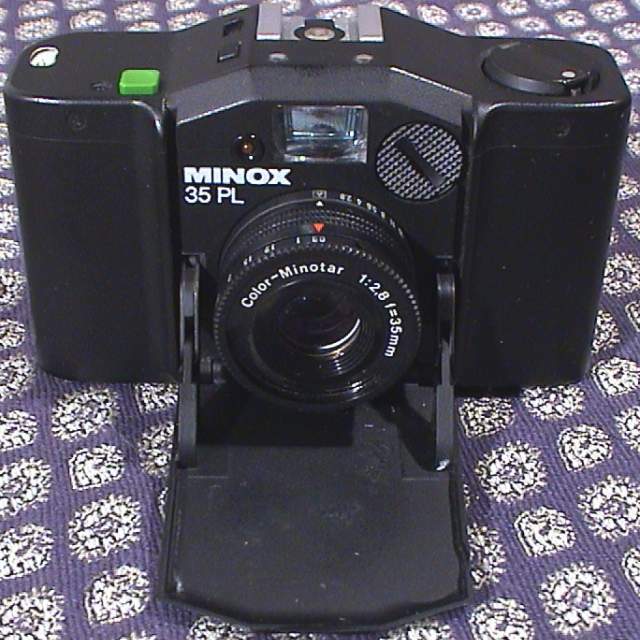 Red LED over the "NO" in "MINOX" on the front of the body is the same as on the GT. with exposure times longer than 1/30 second a red LED blinks on top of the cameral also visible in the finder via a fibre-optical light guide. 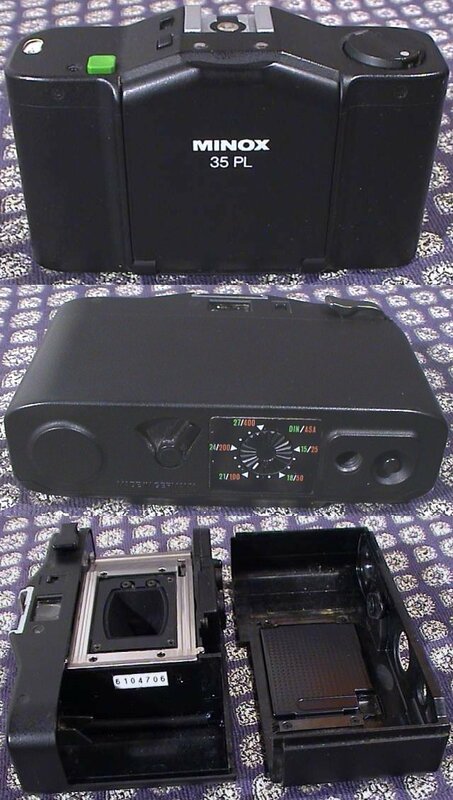 Illuminated frame viewfinder with slow speed warning signal. Soft release, blocked if front cover is not fully open. Self-timer with approx. 12 s countdown. Red flashing LED on camera front during delay time; flashing frequency increases in three steps.